Producing video content can be beneficial on both professional and educational levels. Aspiring webcam videographers can utilize this type of video to showcase their skills, help others learn new things or to create professional business presentations of their products and services. Regardless of how good you are at what you do, in order to attract the attention of large audiences your webcam videos need to meet certain industry standards. Using webcams that cannot record videos in HD or 4K resolution, having poor audio quality or poorly organized background can all significantly impact the impression your video leaves on a spectator. In this article, we are going to supply you with a healthy dose of webcam videography tips that will enable you to produce better videos. How to record better webcam videos? Trying to record any type of video without a proper camera can prove to be a futile effort since so much of the video's visual impact comes from the quality of the recording. Most laptops are equipped with webcams, that can produce a decent image quality, but using built-in webcams can limit your shot selection options as well as the number of video recording options you have at your disposal. Webcam videos are often shot from a single camera position, which is the reason why external webcams are a better choice since they enable you to pick a camera position without having to move your computer. External webcams offer more options, thus enabling you to perform a wider range of video recording actions, which is the reason why they are a much better choice if you'd like to increase the quality of webcam videos you're producing. Using an external webcam is the easiest way to ensure that all your webcam videos have the picture quality you want. Audio is an essential element of all webcam videos because the voiceover technique is frequently used in this type of video to guide the spectator through the topic. Built-in microphones on laptop computers often produce low audio quality and in addition, they pick up background noises during webcam video recording sessions. An external microphone can help you gain more control over the audio recording process, and enable you to capture voiceovers that are not compromised by background noises. Webcam videographers in need of crystal clear audio track should consider getting a directional microphone since it picks up only the sounds coming directly into the device, while significantly reducing the levels of background noise. Shooting under difficult light conditions is rarely a good idea, simply because it can result in underexposed footage that is not very pleasant to look at. It is safe to say that shooting in poorly lit rooms is not advised because it may ruin your webcam video, even if you own a webcam that captures high-quality footage. The narrator of the webcam video or its main protagonist must always be properly lit because the audience cannot grow a bond with a character it cannot see. You don't need to buy professional equipment in order to have enough light in your video, as a matter of fact, natural sources of light can be used creatively to bounce enough light onto the video's narrator. A messy living room can hardly be considered a good background for your webcam video since it might distract the viewer. 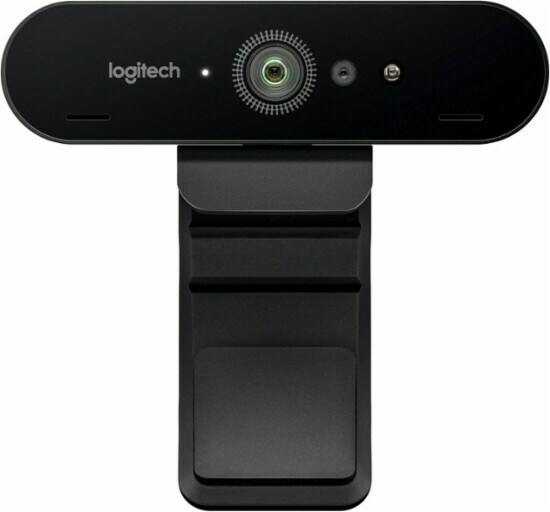 If you own a Logitech C922 or Logitech 4K Pro webcam you can easily customize the background of your video. However, these webcams require you to have software such as OBS studio and ChromaCam besides the Personify software, designed to help its users to replace the background of their videos effortlessly. If you choose to change the background of your video in this manner, you'll have to launch the OBS studio and access the Sources feature. Select the Video Capture Device option and proceed to name the source, such as ChromaCam. In the next step, you'll have to locate the Device feature and click on the Personify ChromaCam for C922 and then simply select the background you like the most. If you don't own a webcam that enables you to alter the background of your videos, the best solution is to pay close attention to every detail that will end up in your shot.